As part of this month’s theme “How is AI affecting human lives”, we talked to Sanjeev T Menon, CEO and co-founder of Light Information Systems. 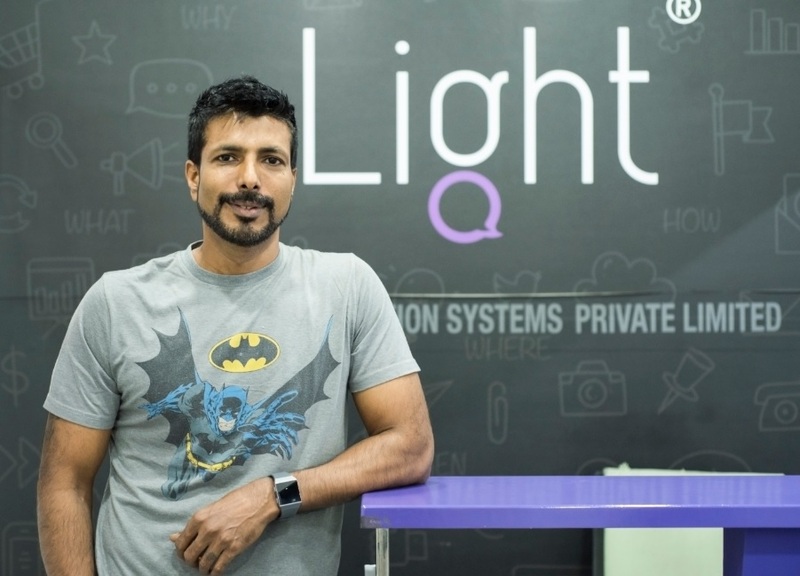 Menon helped build the company’s signature software such as NLPBots and LightApp which have revamped the natural language processing (NLP) space in India. Apart from NLP, he also has 20 years of R&D experience working in areas such as big data analytics, telecommunication, VoIP, augmented reality, e-commerce solutions and predictive algorithms. In this article, we discuss how Light Information Systems has made a positive impact in implementing AI-related solutions. Analytics India Magazine: What are some of the ways that your company is adopting and providing AI services? Please highlight some use cases. Sanjeev Menon: We provide AI NLP products and solutions in two different ways. ‘NLPBots’ AI NLP product platform, under a platform license for companies in the ITES industry for them to offer services and solutions for their enterprise customers. ITES companies utilise our platform and the underlying power of AI NLP algorithms to create use cases and solutions for their customers. These use cases span across internal stakeholders (HR assist, AI-powered hiring, Marketing/Sales insights, Customer support etc.) i.e. any use case which involves the end user interacting with structured and unstructured data, irrespective of the domain. We also offer function-specific customised products on the platform i.e. HR Assist, Marketing Assist, Customer Support Assist etc. where the end to end process of managing the stakeholder interaction/journey is automated with limited or no manual intervention. AIM: What are the areas of life or employment where you would like AI to be more involved? SM: Within the enterprise, we envision AI NLP systems to act as personal assistants to all stakeholders. Currently, stakeholders within the enterprise ecosystem interact with a diverse set of structured and unstructured data through various channels and interfaces. Constant efforts are being made to simplify these interactions through chatbots. However, from a strategic point of view, having chatbot interfaces for each of these interactions do not add value since the enterprise will be left with a plethora of chatbots for each specific task. Instead, the AI NLP systems should evolve to be a one-stop solution for stakeholders where the assistant provides help irrespective of the channel and encompassing the complete data for the individual. There are a few areas where AI, in its current state, exceed the best of human abilities. We can see this within the field of medicine, in diagnostics, drug discovery, clinical trial patient selection etc. Personal life growth and management is also an area where AI can be more involved as there is an immense amount of digital data that we interact with on a regular basis, most of our activities and habits are tracked. We believe AI systems can combine all these data and give guidance for personal growth and achieving goals, as well as refining habits. AIM: Many experts have warned against AI taking over every aspect of our lives. How true is their fear? SM: The AI community is far from building generic intelligence where AI takes over human life. A lot of the fear arises out of the rapid development taking place in this space and through the spotlight it receives courtesy movie characters like Jarvis, Terminator, among others. In general, people have always been fascinated with the imminent threat of computers becoming smarter than the humans, for example, Deep Blue beating Kasparov at chess in 96, IBM Watson winning jeopardy in 2011, AlphaGo’s triumph over Lee Sedol in 2016. These instances serve as evidence that the community is making strides towards artificial general intelligence. But it’s one thing to win board games (which the AI has mastered), and quite another to have the reasoning capabilities of humans. Some of the other AI events that received significant interest like ‘Sophia’, the first robot citizen or other Human-like virtual assistants, are extremely advanced technology but can’t be compared to a human being. We are still far from when AI will be able to understand a joke and laugh, use common sense and develop generic reasoning skills that are at par with humans. Until very recently, research and development in the AI space was confined to very large corporations. With the democratisation of AI, the availability of compute power, open platforms from Google and Microsoft etc., are made accessible at a rapid pace rather than gradual familiarisation of the technology. Due to this democratisation, AI is becoming rapidly pervasive on tech platforms and in real-world applications. AIM: With voice-based assistants, facial recognition and other AI-based technologies being used widely, will the user privacy and data be jeopardised? SM: There are massive digital footprints of each of us covering all aspects of our lives. AI-based tech makes it easier to mine through this data and come up with action points based on what is needed; usually a commercial need of an enterprise. This leads to ‘Surveillance capitalism’ by some large organisations whose business models might be invasive. Similarly, national security projects on immigration and customs can altogether add a different spin to the consumption of private data. Humans will continue to push the technology envelope making it easier to do things, process data, draw insights etc., and this push will never stop. We should focus on creating more legal frameworks in this space on underlying business models and in order to evaluate the good, bad, and ugly. Initiatives are already underway to give individuals more control over their own data and it should continue to pick up the pace. AIM: How has been the adoption of AI in Indian scenario? SM: Chatbots – and the buck stops there with the current scenario in India. We have a fear of missing out and most of the companies have a chatbot strategy to follow suit. But very few actually embark upon an AI strategy. At Light Information Systems, a lot of companies reach out to us because they have a mandate to develop a chatbot. Chatbots are not the true power of AI, it is just one more interface. India is more of a followers market when it comes to new technology implementation within companies. AIM: What are the changes in policies and infrastructure that you would like to see for the better adoption of AI? SM: Changes in policies and infrastructure are already happening at a global level. Graphics Processing Units (GPUs) for AI training is expensive and inaccessible(even though the prices have come down recently). The price points for these need to be significantly lower for the Indian scenario. Data privacy and sharing of data has to be better defined for online interactions. In a corporate environment, policies and practices are tweaked and governed keeping in mind deterministic systems. This need to change. Every AI system will have a learning phase and may not be deterministic at all, depending on the application. In terms of security most of the corporates try to create isolated systems without any access to the outside world (rather than have adequate security measures, it is easier to ban access), this needs to change. AIM: What are some of the other challenges that can come in the way while adopting AI? Solving for training bias – we are already witnessed AI becoming sexist, with recognition failing for darker skin tones, etc. Identifying when the AI is going wrong – It is easy to say that the AI is highly accurate, but even if a given system achieves an accuracy that is upwards of 90%, we need to accept it and find a way to fix/identify the inaccuracies of the system. This becomes even more critical when the reliance on system guidance becomes second nature to humans. AIM: Will AI be capable of exhibiting emotions and developing a conscience? Will that be useful or harmful for us? SM: Eventually, AI could be capable of exhibiting emotions and developing a conscience of its own but that is definitely not happening anytime soon. Significant breakthroughs in technology have to take place and a completely new way of teaching the machines has to evolve before this actually happens. Citing the AlphaGo example – it has been seen as a huge success for AI and deep learning, but it’s actually incremental improvements in a combination of areas of deep learning, self-play, reinforced learning, tree search algorithms etc. rather than a monumental breakthrough in AI itself. Humans have quite a lot of biases based on the background, society as well as some evolutionary biases. AI-based decision-making systems are ideally suited to eliminate these biases rather than exhibiting human-like emotions and conscience. AI might one day get to a point where they exhibit emotions and develop a conscience, but that in itself is of little value in the larger scheme of things. Also Read What Is Machine Learning As A Service (MLaaS)? Can AI Be An Effective Therapist?